Internal fixation of fractured femur. 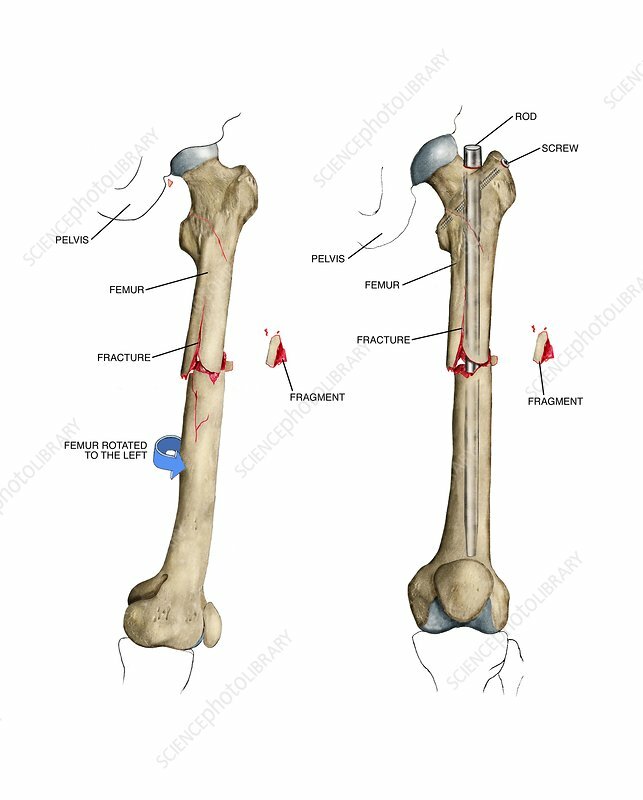 Labelled artworks of a fractured femur (thigh bone, left) and the femur after surgical implantation of an intramedullary rod (right). This is a comminuted fracture, where the mid-shaft femoral break has produced fragments of bone. The blue arrow (left) shows the direction in which the femoral shaft below the break has rotated. A rod, held in place by screws, has been implanted inside the bone across the fracture to hold the broken bone in place, allowing it to heal in the correct alignment. This is a femur in a patient's left leg.